Annalise Quimby has just been offered an enticing raise and promotion when she receives the news that her beloved grandfather has passed away. 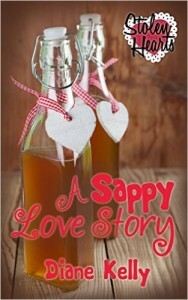 When she leaves California to attend his funeral in Minnesota, she discovers that Sappy Pappy Sorensen has left his maple syrup factory to both Annalise and Jeremy Wannamaker, Pappy’s right-hand man and Annalise’s long-time crush. Joint ownership poses no end of potential complications. To make matters worse, it’s nearly February, the sap will soon begin to run, and a blizzard is on its way. How will Annalise and Jeremy resolve this sticky situation? Find out in A Sappy Love Story!